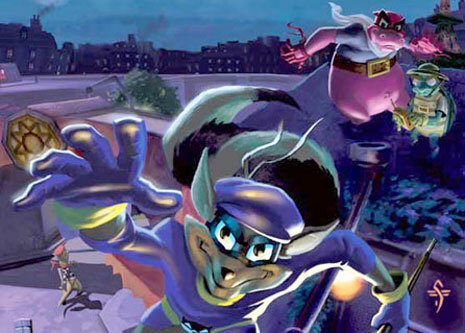 Has anyone ever played a game called Sly 3? Or Sly 2? Or Sly Raccoon? I have. They are great PS2 games. I’ve completed them all, so now I look for bugs, glitches, etc. From now on I will be posting about Sly secrets, Sly stories, Sly Cheats & pretty much everything about Sly. I have also added a new Category called ‘Sly Cooper‘. Never heard of Sly Cooper? Watch this video. It will intruduce you to the characters. Pretty cool, see? That’s why I’m addicted.